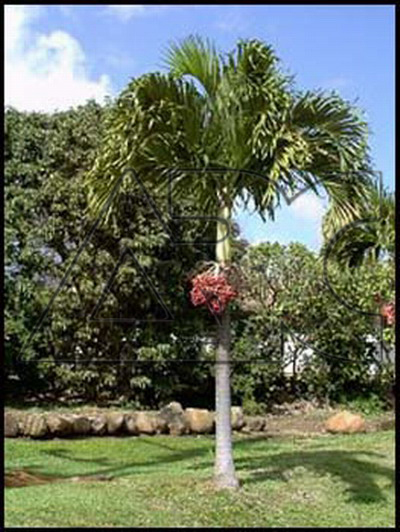 Small palm with a slender trunk, up to 26cm across, which tapers towards the crown shaft. Strongly arching, matt, mid to deep green leaves, 1-2m long, each have 40-60 strap-shaped leaflets, pale green and scaly beneath. Green to yellow-green flowers, 2cm across, are borne in panicles up to 1m long, usually in summer; they are followed by ovoid crimson fruit, up to 3cm long, which are at their most colorful during winter.